The choice of a new Greek leader of the opposition raises the risk of clashes between Athens and its euro zone creditors. It intensifies the country’s complex political dynamics. At first sight, Kyriakos Mitsotakis’ election as leader of the centre-right New Democracy party would seem unalloyed good news. He is a liberal reformer who was considered among the most effective ministers in the grand coalition government that fell last January. The policies he advocates – tackling vested interests, freeing up the economy and competent governance – are exactly what Greece needs. Creditors now have a credible alternative to Alexis Tsipras, the leftist prime minister who agreed after much anguish to a reform programme but has not been implementing it with any enthusiasm. But things may not be so simple. Tsipras is running a government with a wafer-thin majority and has to pass a raft of unpopular legislation – especially to cut the state pensions bill – as part of his deal with Greece’s creditors. Until Mitsotakis’ election, it looked like the prime minister would either manage to hang onto his current majority or, if more of his own members of parliament rebelled, cobble together a new coalition with some small centre and centre-left parties. And, if that failed, he could just call another election which he would win easily. But Tsipras can probably no longer take that last gamble. Meanwhile, the smaller parties won’t be so keen to join his coalition as they will fear their voters would flock to Mitsotakis’ banner. This, in turn, means potential rebels within Tsipras’ own ranks will feel emboldened, calculating that he depends on them. As a result, the prime minister may be tempted to take a tougher line with the creditors and try to dilute some of the harsher reforms. Those representing the euro zone, meanwhile, may feel they can take a harder line with Athens as Tsipras is no longer the only game in town. There are, of course, lots of ifs and maybes in this scenario. But it suggests that the Mitsotakis win, while welcome, may create more surprises in a drama that has already proved immensely unpredictable. 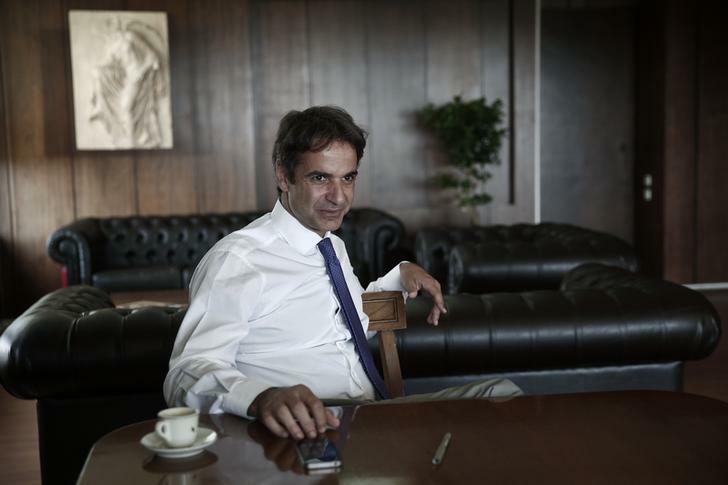 Greece's Administrative Reform minister Kyriakos Mitsotakis. Greek conservatives elected Kyriakos Mitsotakis as their new leader on Jan. 10, hoping he can revive their fortunes and challenge leftist Prime Minister Alexis Tsipras, still popular despite opting for austerity. The conservative New Democracy party seeks to recover from its heavy election defeat in September, when Greeks re-elected Tsipras’ Syriza party amid capital controls on bank deposits and a harsh third bailout with the country’s foreign lenders.